Pizza lovers, rejoice! 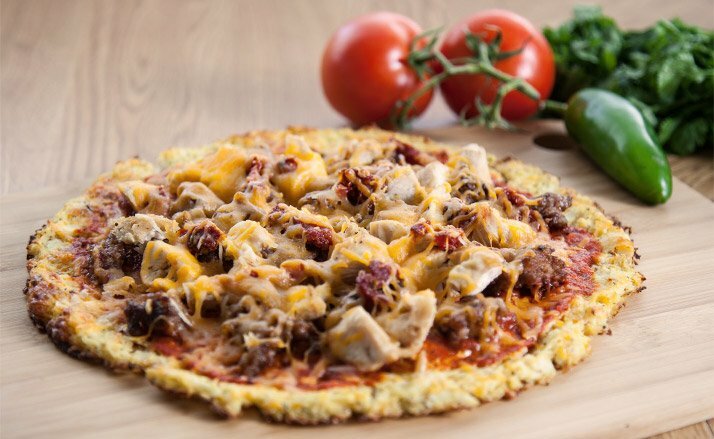 No matter your fitness goals, one of these 4 DIY pizza recipes is sure to fit your macros! Regardless of whether you're dieting, bulking, or somewhere in between, there's a place for pizza in your life. Fatty, carb-laden restaurant pizza can test even the strongest willpower and wreak havoc on a diet, but making it at home gives you more control over the ingredients. The key is knowing how, and with what, your pies are made. 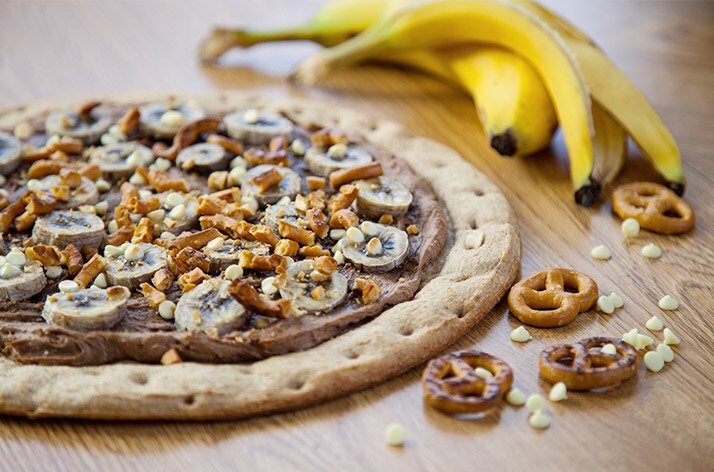 These four DIY spins on traditional pizza are begging to be built and devoured no matter where your fitness sights are set! Breakfast is the most delicious—err, important—meal of the day. Or something like that. Regardless, I can't think of a better way to start the day than with a slice or two of pizza! 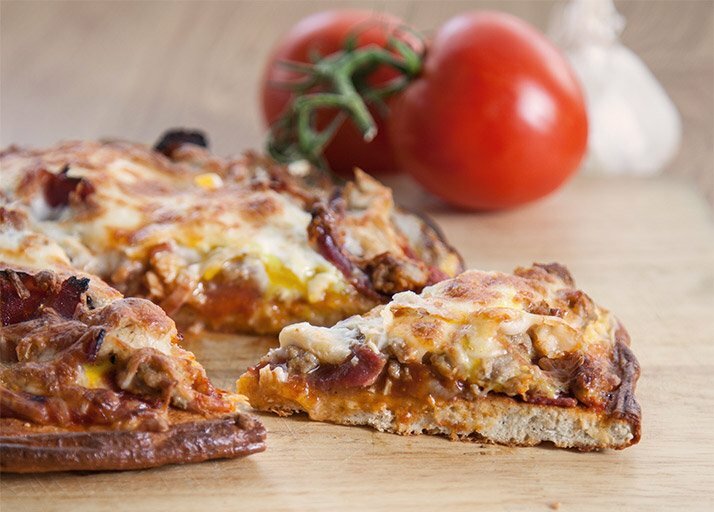 This a.m. version combines all the thing you love about pizza and breakfast in one tasty slice! Spice your slice with this tantalizing, Mexican-inspired pizza. What the pizza lacks in carbs—making it perfect for dieters and those with few macros—it makes up big-time in flavor. You'd better make two! 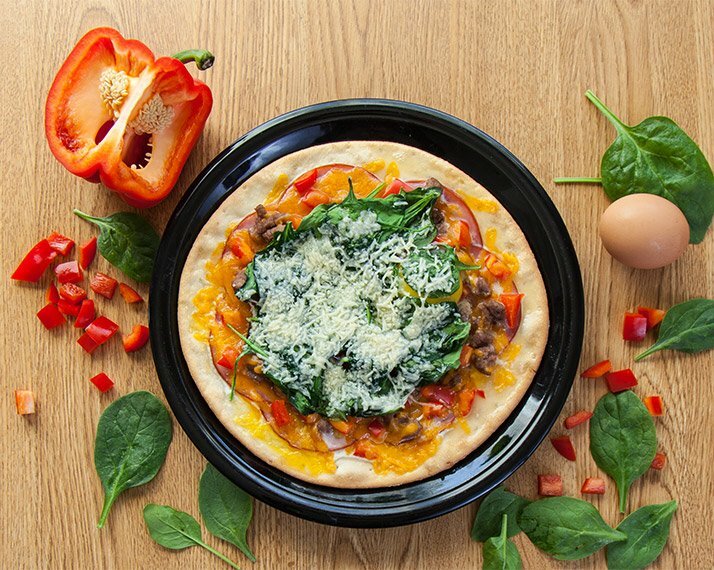 Plain cheese pizza may not be the most protein-packed food on its own, but that doesn't mean you can't power it up! A traditional meat-lover's pizza is high in protein, but it's also laden with fatty cuts of meat. Try this three-headed protein monster for a leaner, meaner alternative! Pizza for dessert? You'd better believe it! What better way to end a night than with a sweeter version of your favorite food? This sweet-and-salty combination is sure to hit all the right notes.